I am not sure why but I have never written about my wedding here even thought it is a topic I like to talk about (who doesn't?). In a previous post, I wrote about having to go through several administrative land mines to get there, but I never really wrote about the wedding itself. I am French. 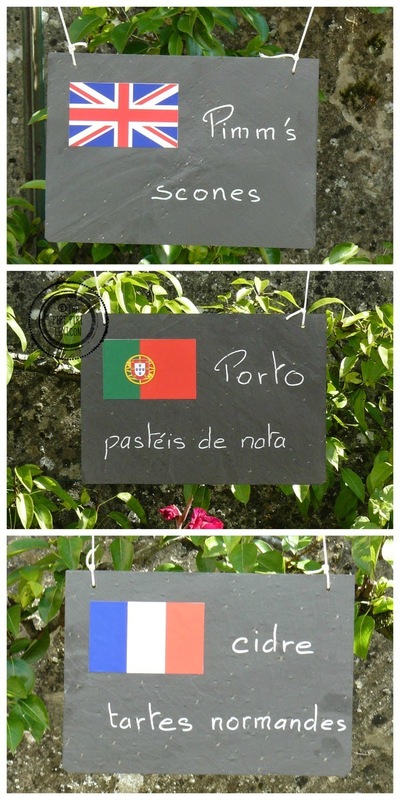 The husband is Portuguese. We lived in England. Can you see how easy this was going to be? 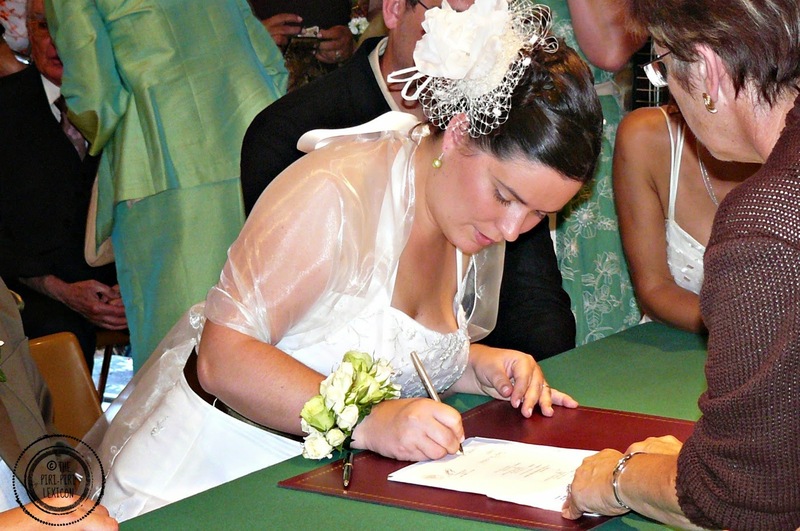 When we decided to get married, I knew straight away I wanted it to be in France. 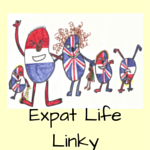 My parents have large families that would not travel (or so I think), the Portuguese family was much smaller in comparison, our English friends would be all too happy to go to France for a weekend and we loved the setting. So the location was not an issue. We also did not want to hold 2 or 3 weddings as some do as, to us, this would be a waste of money and would make it less special. 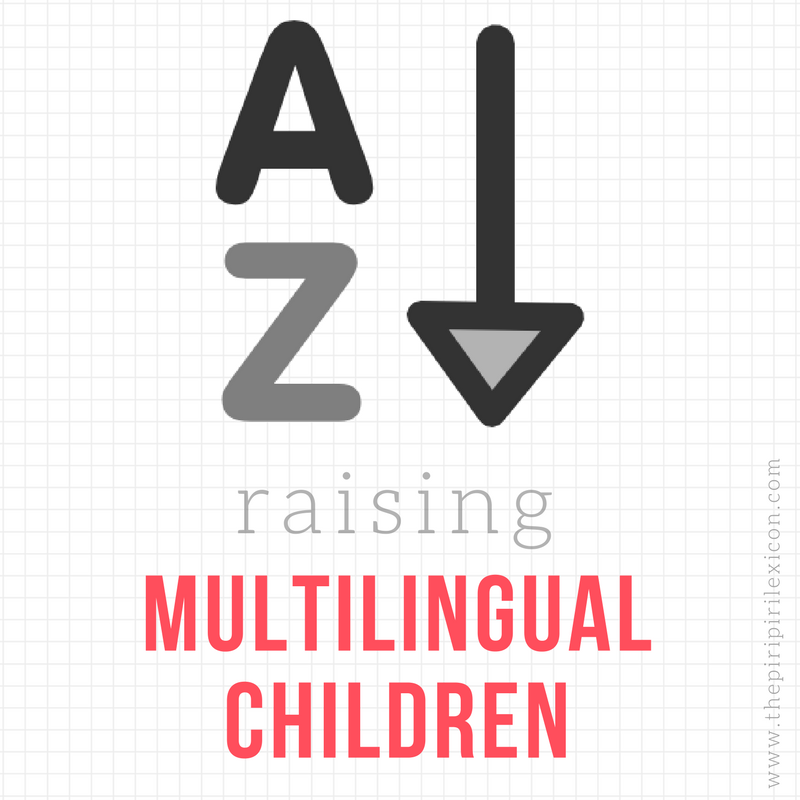 The tricky part came when we had to plan a trilingual wedding with guests (and family) who did not necessarily understand each other and when we had to combine traditions from at least two countries. We knew we wanted to have a wedding that represented us. We didn't want a traditional French wedding. We had to blend and combine 3 cultures. French cake (piece montée) or English fruit cake? Vows in what language? 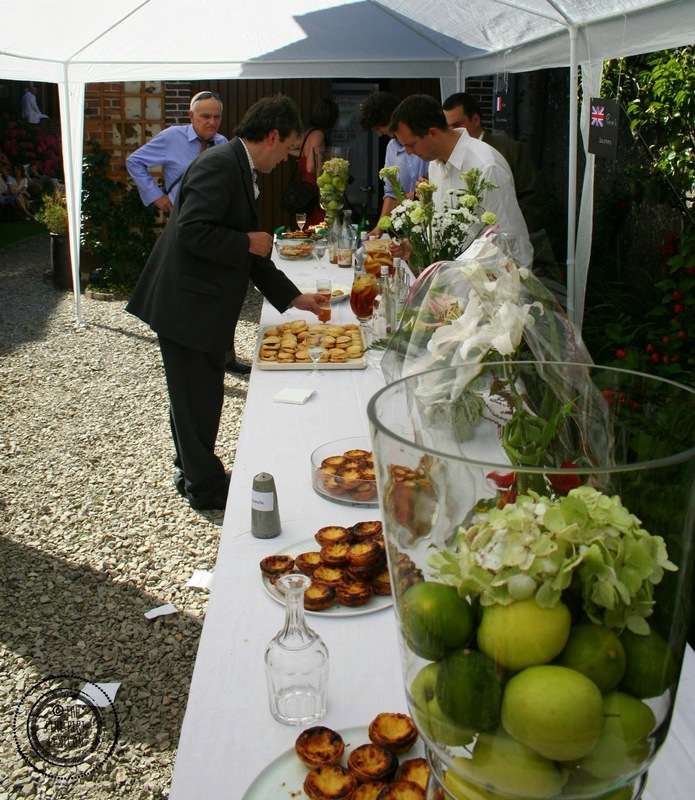 How to find a caterer that could cook Portuguese food in rural France? In what language to have the invitations? How to fit more than one language on an invite? Of course, we had to have trilingual invitations. My colleagues and friends would have been very disappointed if we had not and my 80-year-old aunty would not have understood if it had been in English only! Fitting three languages on a travel-themed invite was impossible. So I made 3 versions of the same invitation. 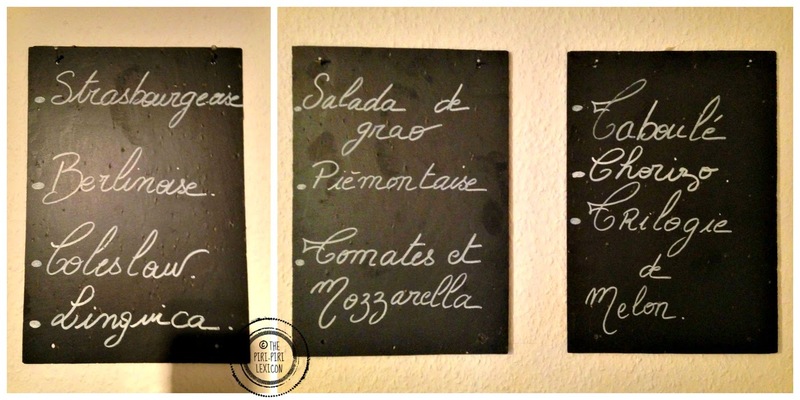 I still wanted to reflect the multilingual nature of our wedding, so some of the text still appeared in 3 languages. Not classical, not traditional, that is us. As atheists, we had a civil ceremony only. It was conducted in French only (unfortunately) but we added a few unusual vows read by some friends in Portuguese and English at the beginning. We also had two cakes (indulgent? ): a traditional English fruit cake and a French piece montée. Our caterer made the French one. 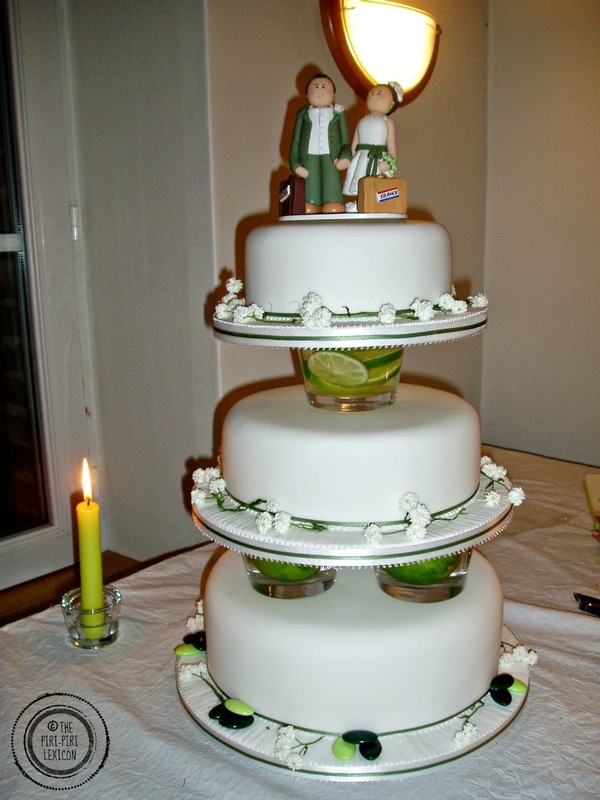 We brought the English one over from the U.K. with us when we arrived for the wedding and it was made by a friend. 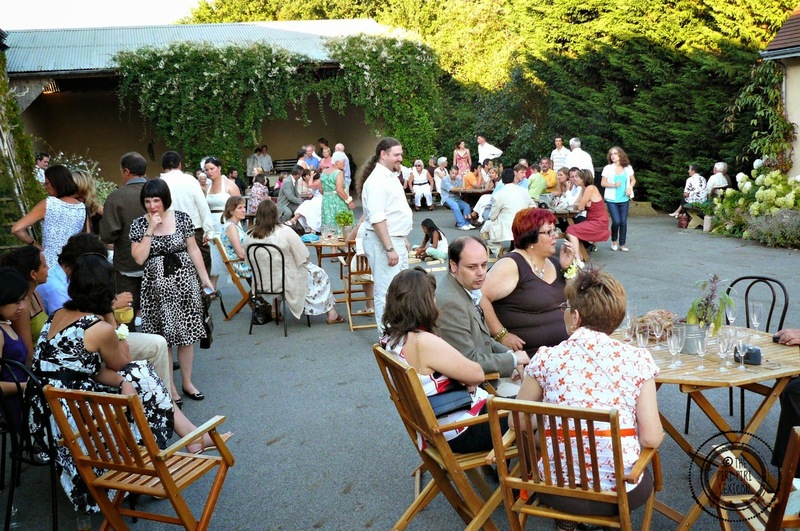 The French traditional wedding includes a vin d'honneur before the meal, a kind of cocktail reception. We had that in my parents' garden and we served one little cake and a drink from each of the three countries. We made some of it ourselves and bought the Portuguese pastries in Paris where there is a very large Portuguese community. Everybody loved that. We had brought games to entertain people before the meal. So we initiated the non-British to a cricket game. The music and dancing was a Celtic ceilidh where language was not needed to have fun. Our witnesses had also prepared a couple of games in the German tradition (as one of them was German). 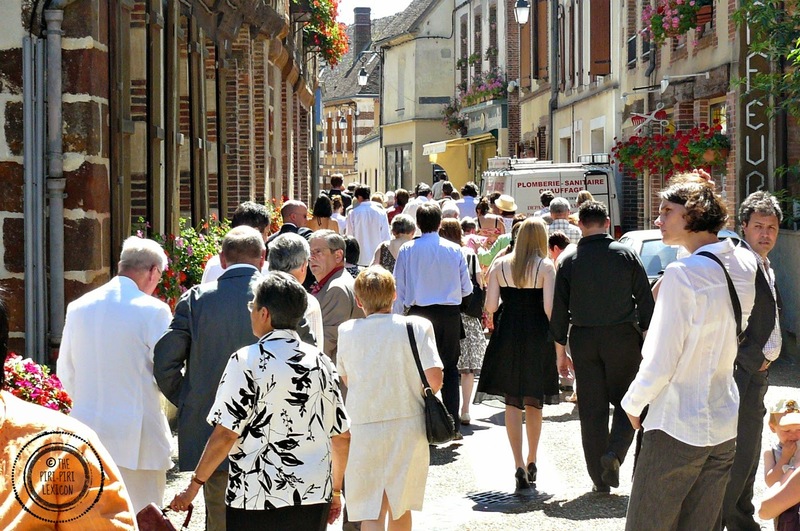 It was a major event to plan to be honest, with most guests coming from far away, needing accommodation in a rural tiny village, and having to translate everything twice but we (I?) loved planning it and, of course, loved the day! It was worth all the time invested. 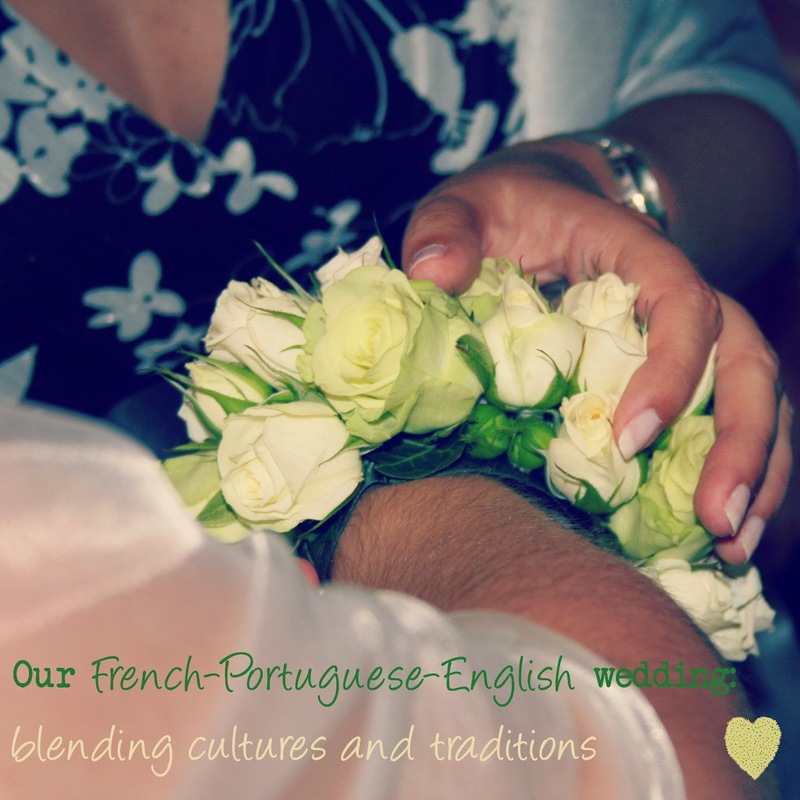 Did you have a multicultural or multilingual wedding? How did you handle it? I'd love to hear all of your ideas. My colleague loves pastéis de Nata! I hate the German games but your wedding sounds fantastic :-) I suppose if we got married we would do it in Switzerland - neutral territory! I love your wedding! It looks so fun! I'm really fond of weddings that mix the couple's multicultural aspects, rather than having two culturally traditional weddings. I think it brings out the love, the quirks and the daily life of the couples better. Congrats for this beautiful day again and thanks for sharing! Your wedding is so similar to mine, which I've just started to think about writing up (thanks to the MKB carnival) though you didn't have the church bit which I felt pressured into having (see my post on #MyExpatFamily); I love your signs for the Pimms, Porto and cider, so cute! Love reading about these multicultural marriages. Your wedding sounds amazing. Congratulations! This sounds fantastic! 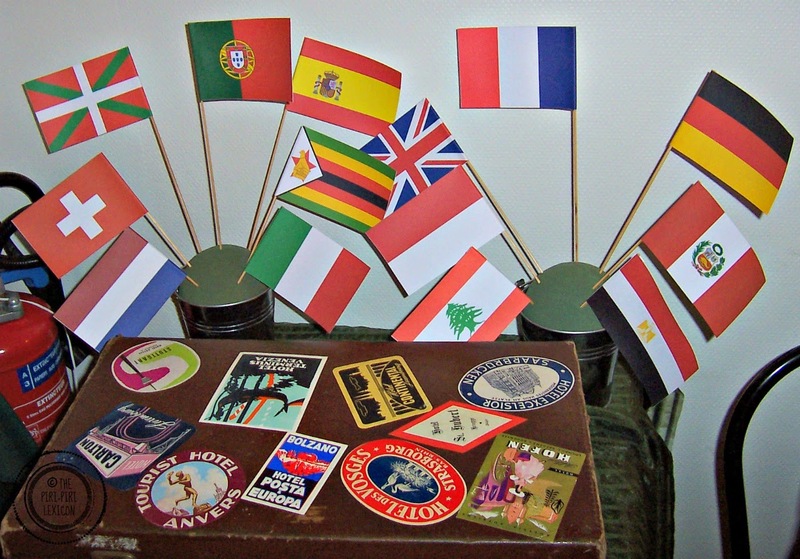 I love the effort you went to to share three cultures and three languages - (and the idea of Pimms and scones). The idea that a wedding really encompasses what makes the bride and groom who they are is really special.